See it for the first time on May 15th 2010! Tour 9 completed suites at Millennium Water Avenues of the World Vancouver real estate development, each featuring one of Canada’s Gold Medal Interior Designers, including the original Millennium Water suite by Chil Design Group! Starting May 15th, visit any of the 9 suites to pick up your very own passport to the Village. Your passport will provide you with directions to a self guided tour of the selected suites here at the Avenues of the World at Millennium Water Vancouver waterfront community and also be your ticket to entry into our fabulous grand prize draw, valued at $20,000! Eleven prizes are available with one (1) grand prize valued at $20,000 and ten premium commuter bikes. The new Millennium Water False Creek Vancouver waterfront community presentation centre opening is on May 15th, 2010 at 1693 Manitoba Street, Vancouver (at West 1st Avenue). The Designers Showcase at the Southeast False Creek Millennium Water Vancouver waterfront community at Avenues of the World includes William Switzer & Associates, Mitchell Freedland, Ledingham Design Consultants, Kodu Design, Inform Interiors, The Cross Décor and Design, BYU Design, Alda Pereira Design and the original, CHIL Design Group. In addition, the notable suppliers for the Avenues of the World Vancouver Millennium Water showcase event includes Norocom, Living Space, Dcube Construction, Bari Design, Ace Integrated Systems, Hambleton’s Fine Art Gallery and Salari Carpets. You can register online for VIP Previews for the Millennium Water Avenues of the World event by visiting www.millenniumwater.com/avenues/ and filing out their registration form. Avenues of the World Millennium Water Vancouver Home #1 by Chil Design Group (original suite) is located at #702 -1633 Ontario Street, Vancouver and features a two bedroom plus flex plus EB for a total of 1445 square feet. Every detail from the eco-wood cabinetry to the renewable resource of a wool carpet was selected by Chil Design Group for Millennium Water False Creek waterfront community to create an extraordinary level of luxury and healthy livability. Contemporary and streamlined, the locally and globally sourced interiors of the Original Millennium Water Suite by CHIL Design Group reveal an international design aesthetic. Home #2 featured at the Avenues of the World at Millennium Water False Creek is designed by award winning Alda Pereira Design. This unit is located at 502B- 118 Athletes Way, Vancouver and features a two bed plus den plus flex space floorplan of 1652 square footage. In interpreting the Gold, Gold, Gold suite them at Millennium Water for Avenues of the World, the Alda Pereira Design taem communicated this symbolic personal expression of success in the Olympic spirit of striving for gold to reflect the warmth and riches of everyday living in this rarified world class setting in the city of Vancouver. BYU Design features green and sustainability at the Avenues of the World at the Southeast False Creek Millennium Water Vancouver waterfront community at 711 – 1633 Ontario Street, Vancouver and it offers a 1 bed plus flex and EB for 862 square feet. The Green and Sustainability suite at Avenues of the World at Millennium Water by BYU Design demonstrates that green design doesn’t have to be predictable. It can be calming, pleasing and elegant – concepts that Bob’s Your Uncle enjoys producing, and a challenge that their LEED Accredited Professional design team embraced for Millennium Water Avenues of the World showcase. The Cross Décor & Design team features French Provencal at the Vancouver waterfront real estate development along Southeast False Creek at 404B – 12 Athletes Way which is a 2 bed and flex space of 987 sqft. On May 8th, we are thrilled to bring the spirit of The Cross to Millennium Water Southeast False Creek, where we will create a living space rich in inspiration, surrounded by all things beautiful. Reflected light, rooms with a modern gilt like glow, our signature touch of cool Parisian edge and timeless elegance makes our Millennium Water Avenues of the World suite a great place to call home. Inform Interiors presents the 100 Mile House at Millennium Water Vancouver waterfront community at 701 – 1633 Ontario Street with a 2 bedroom plus eb plus flex layout covering 1140sf. A strong belief in good design is reflected in the choices made for the Inform Interiors Millennium Water Avenues of the World Vancouver waterfront suite called 100 Mile. Over 80 per cent of the furnishings are manufactured within 100 Miles of Millennium Water Southeast False Creek real estate district. Furthermore, all the furnishings come from environmentally friendly product lines that have extremely long life spans and are highly recyclable. Kodu Design features the Canadian Olympian at Millennium Water Avenues of the World showcase event with a suite at 709 – 1633 Ontario Street, Vancouver and is a 1 BED plus EB design of 812 sf. For Avenues of the World at Millennium Water Southeast False Creek waterfront condos, Kodu Design will proudly present the Canadian Athlete suite, inspired by home. Kodu Design took many cues from our athletes; the pushing the envelope attitude, the technology, space age materials, and futuristic equipment. Kodu Design at Millennium Water Canadian Olympian suite selected and designed elements for this home that expressed: speed, strength, finesse, beauty and the dream. At 304-151 Athlete’s Way Vancouver Millennium Water Avenues of the Worlds’ Asian Influence suite by Ledingham Design Consultants features a two bedroom + family + flex + eb layout of 2364 sf. Robert Ledingham’s Asian Influence inspired Avenues of the World suite at Millennium Water Southeast False Creek projects a classic international lifestyle. Design details embody a well traveled homeowner with an eclectic collection of signature pieces from around the globe. The Sophisticated Modern Millennium Water showcase is by Mitchell Freedland at 202 – 181 Athlete’s Way, Vancouver and is a large three bedroom plus family plus flex plus eb suite of 2991 square feet. Creating individuality through all the finer details is exactly the approach that Mithcell Freedland uses to create the Sophisticated Modern Millennium Water Avenues of the World showcase terrace suite along Vancouver’s Southeast False Creek waterfront community. A cohesively edited selection of Baker furniture plays out into an elegant and inviting environment, which has a magical dialogue with the Sophisticated Modern suite’s city skyline view. Last but not least is the William Switzer & Associates Avenues of the World Vancouver Millennium Water Perfect Parisian showcase suite at 505 – 1616 Columbia Street and is a two bed plus flex floorplan of 1160 square feet. With William Switzer & Associate’s furniture living in some of the world’s most beautiful homes and premier hotels, here is Perfect Parisian at Millennium Water Vancouver waterfront community. Designed by Allan Switzer with assistance from Adam Bellas, the Parisian themed Avenues of the World suite features magnificent furniture from the acclaimed Lucien Rollin Collection. This perfect Parisian William Switzer & Associates showcase is infused with a transitional spirit of color and style fashioned for the contemporary lifestyle of today’s homebuyer. Millennium Water Grand Opening May 15th! An Olympic Legacy where GREEN is GOLD – Millennium Water- Vancouver Real Estate’s last waterfront community. Welcome to the grand opening of Millennium Water, home of the 2010 Olympic and Paralympic Village. SEE IT – Join us for the grand opening celebration of Millennium Water False Creek Vancouver waterfront community, home of the 2010 Olympic and Paralympic Winter Games, Saturday, May 15th, 2010! Gates open at 10am – Ribbon Cutting Ceremony begins at 11am. Admisssion is free and for all ages! See over 35 Olympic athletes for photos and autographs, including Vancouver born 2010 Ski Cross gold medalist Ashleigh McIvor! Olympic and Paralympic medal displays presented by Teck Resources and the Royal Canadian Mint! Get your limited edition May 15 commemorative pin! All day community market place celebration featuring BC Hydro, London Drugs, Urban Fare, TD Canada Trust, Starbucks, Vancouver Sun/Province, McDonald’s and much more in music, food and prizes here at the grand opening celebration at the False Creek Millennium Water Vancouver waterfront condo community! 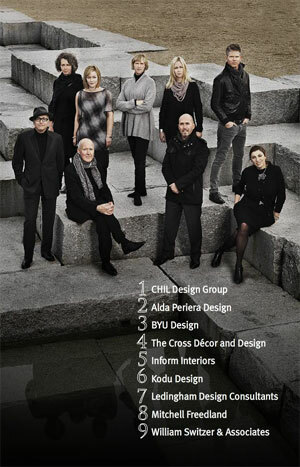 Get your Millennium Water Passport to see Avenues of the World Vancouver waterfront condo display homes – nine spectacular homes by 9 leading Canadian interior designers. You could win a $20,000 Grand Prize Package! * Were you a “Blue Jacket Volunteer?” Be one of the first 250 “Blue Jackets” to visit on May 15 with your proof of accreditation and receive a $25 gift card to London Drugs, all here at the waterfront Vancouver Millennium Water condo community! HOW TO GET THERE: By Transit – Millennium Water Southeast False Creek Vancouver condo community is only an 8 minute walk from the Canada Line Olympic Village Station. By Car – metered street parking is available on West 2nd Avenue or in the pay lot by Science World. By Foot – enter off West 1st Avenue at Manitoba or Salt Street; or enter off seawall just west of the new SEFC Community Centre. On May 15th, 2010, the Millennium Water Vancouver Condo Presentation Centre will be located at 1693 Manitoba Street (and West 1st Avenue), next to the historic Salt Building. * Contest rules apply. Completion must occur on June 30, 2010 or earlier. HST is applicable as of July 1, 2010. Please speak to a Sales Rep at the waterfront Millennium Water False Creek Vancouver real estate development presentation centre for more details. OWN IT – seriously, there is no competition in Southeast False Creek Vancouver real estate development. Buy before July 1st and BEAT THE HST! * The waterfront False Creek Millennium Water Vancouver condos start from an incredible price point of only $429,000! There is absolutely no competition! The Millennium Water False Creek Vancouver real estate development is the Olympic Village on the waterfront. The greenest condo community on the planet, the LEED Platinum Millennium Water Vancouver waterfront condominium neighbourhood features finishes such as Sub-Zero, Miele, and Eggersman kitchens, SEFC Community Centre and Canada House, a legacy of the late Arthur Erickson. From London Drugs to Urban Fare, Millennium Water Vancouver waterfront real estate development is simply the best. There is no competition. The Millennium Water Avenues of the World is coming May 15th! Tour 8 furnished suites at Millennium Water False Creek waterfront condo community, each featuring one of Canada’s leading Gold Medal Interior Designers, complementing the original Millennium Water suite, by Chil Design Group. For more information about the May 15th Avenues of the World at Millennium Water Vancouver event, please visit millenniumwater.com/avenues today and own a piece of Vancouver’s Olympic Legacy. The new release of Millennium Water Vancouver waterfront condos will start from just $429,000. The Avenues of the World at Millennium Water presentation centre will be located at 212 West 1st Avenue, Vancouver and is open daily from noon to five and closed on Fridays. This False Creek master planned community will be open noon to five daily except Fridays at 212 West First Avenue and will feature a 10,000 square foot Millennium Water presentation centre. Only a few weeks ago Vancouver hosted the 21st Winter Olympics and invited the global community to be a guest in our city. Now for the first time, you can see the legacy and own a piece of history. Stay tuned for more details in the upcoming weeks and click here to visit the Avenues of the World website for more information! 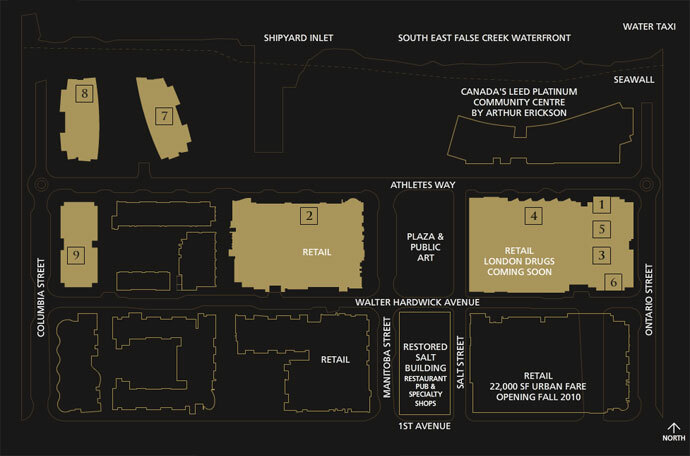 On May 15th, visit us at our new Presentation Centre located in the Olympic Village! The most highly anticipated launch of a Vancouver real estate project is now upon us. The 2010 Legacy at Millennium Water False Creek waterfront community will be opening its doors to the general public on May 15th in what is known as Avenues of the World showcase of nine display homes throughout the waterfront Vancouver neighbourhood. The Winter Olympic Games definitely showcased the beautiful waterfront setting of the Southeast False Creek corridor and when May 15th hits, the final release of waterfront Vancouver condos will be released for sale. The final 3 phases of the project will be showcased at this grand opening event that will event that will even have a ribbon cutting event and will be open to people and children of all ages. Up until now, the public has not been allowed on the Southeast False Creek Millennium Water Vancouver real estate waterfront community, as it was blocked off during the 2010 Olympic Games as the Athlete’s Village and up until now, the developer was making final construction and preparations for this grand opening. The Avenues of the World at Millennium Water will definitely showcase the Vancouver waterfront condos along the most beautifully redeveloped strip of Southeast False Creek district and with tonnes of prizes, family events, food and drinks, this is definitely a community celebration. The 10,000 square foot Millennium Water Presentation Centre will be located at 212 West 1st Avenue at Cook Street.